Host- Radio Talk show about Alternative medicine, Davidzon Radio, 620 AMDr. 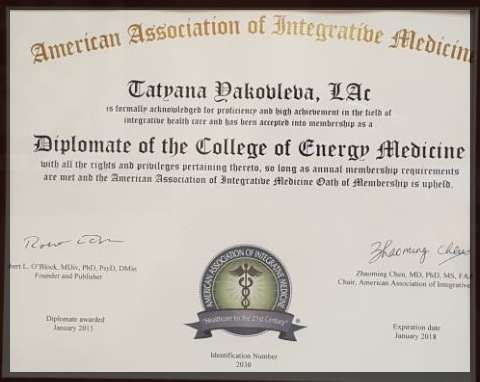 Tatyana Yakovleva received her medical doctorate from the Novosibirsk Medical Academy (Russia. She later completed residency and fellowship in Pediatrics and Cardiology at the Novosibirsk Medical Academy. 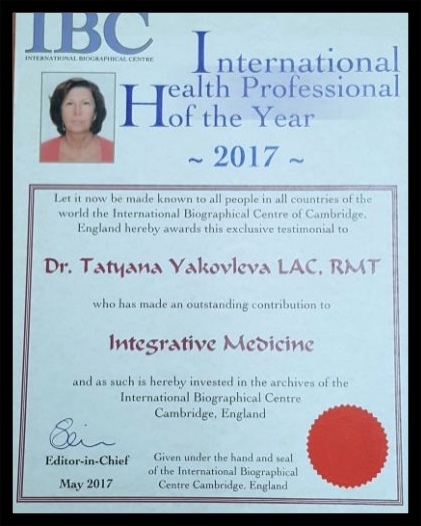 Dr. Tatyana Yakovleva, one of the first Russian medical practitioner who have started using alternative medicine treatment methods such as electro dermal screening with Dr. Voll's machine, holistic acupuncture, homeopathy, micro-current therapy, light & plasma current therapy in her practice. In 11 years of her practiced medicine at the Institute of Circulation Pathology where she was able to use her healing power & knowledge of alternative medicine as medical doctor. 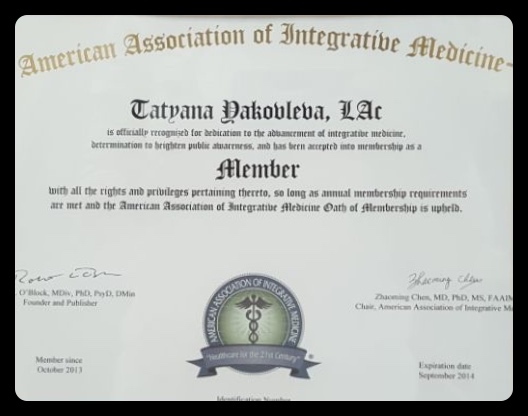 She received her license as a healer by Institute of Clinical & Experimental Medicine in Novosibirsk after her work with cell cultures showed that they had a 1.5 times increase in growth than the control group, additionally her bio-energy was shown to suppress the growth of cancerous cells. She treats patients by harnessing their own healing power. She teaches courses in Reiki, Yoga, Magic Points as well as breathing techniques and acupressure. 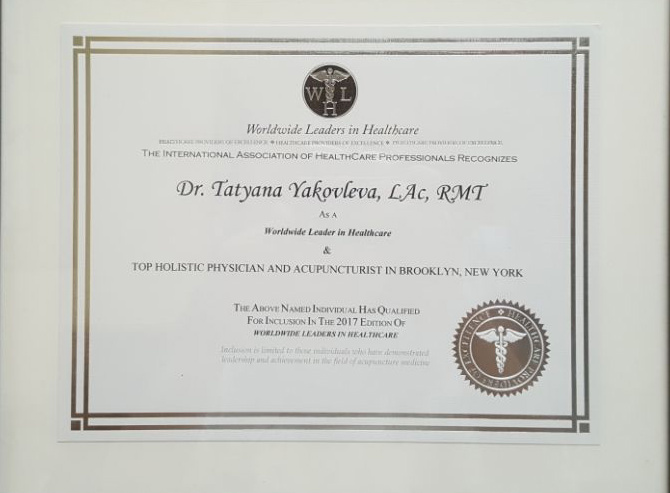 Dr. Tatyana Yakovleva graduated from the New York Institute of Chinese Medicine after arriving to Unites States, the International Institute of Su Jok Korean acupuncture & the International Academy of Reflexology & Reflexotherapy. As a part of her continued education, she completed advanced acupuncture courses in gynecology from China , neurology, weight loss & facial rejuvenation. In the Czech Republic she studied face lifting using low level lasers. Dr. Tatyana Yakovleva has a unique approach to balancing the body's energy using a combination of Chinese, Korean, French and German techniques as well as modern Quantum energy devices. Dr. Tatyana Yakovleva is successfully using the aforementioned methods in the treatment of bronchial asthma, prostate problems, allergies, diseases of spine and joins, insomnia, impotency, and more. Combining her pediatrics training with the alternative medicine methods, Dr. Tatyana Yakovleva specializes in treatment of the attention deficit disorder (ADD) in children. Dr. Tatyana Yakovleva also has significant success in the development of a singing voice, and proper breathing techniques. 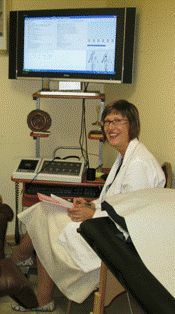 Some patients experience a more powerful voice and clearer tones after the first treatments. After a full course of treatment, one of the most severe cases she has treated joined the Metropolitan Opera. *Each patient will respond differently to each type of treatment. 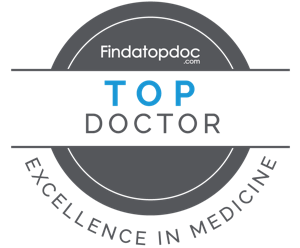 We firmly believe that it is important for patients to understand which treatment methods are best for them before starting any treatment.